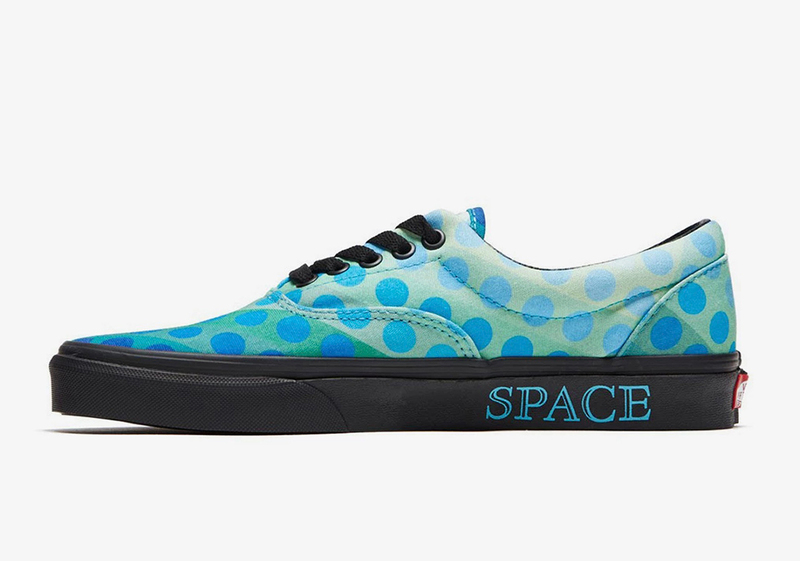 Vans x Bowie sneaker collection coming soon. 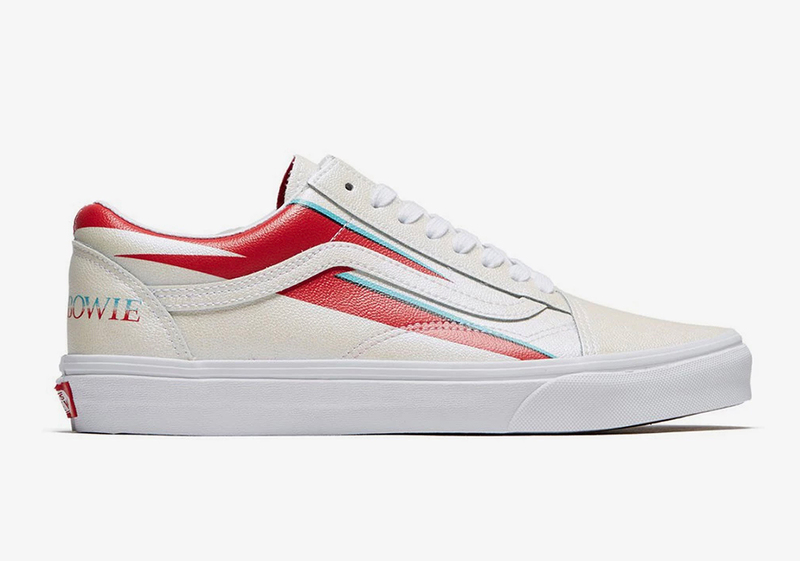 Vans has teamed up with David Bowie's estate to release a four-sneaker capsule collection featuring the Vans Old Skool, Vans Sk8-Hi, Vans Era and Vans Slip-On 47 VDX. 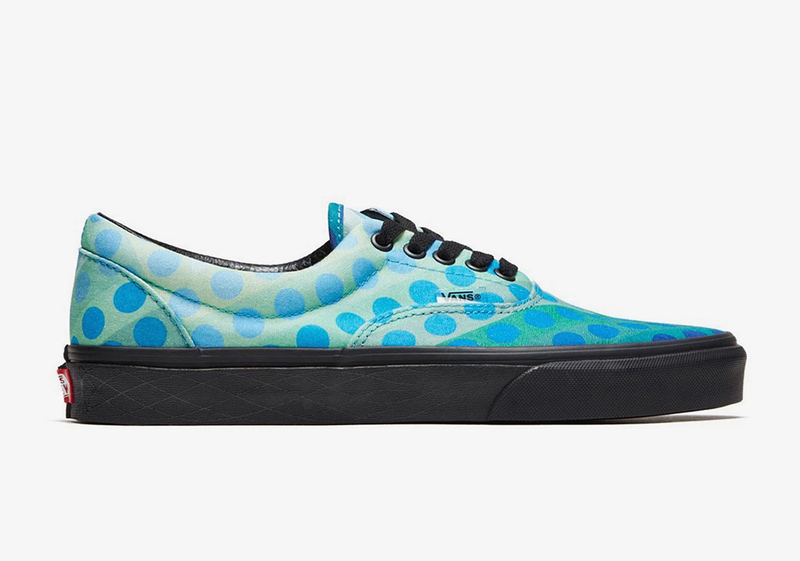 Each of the sneakers are inspired by one of Bowie's legendary LPs. 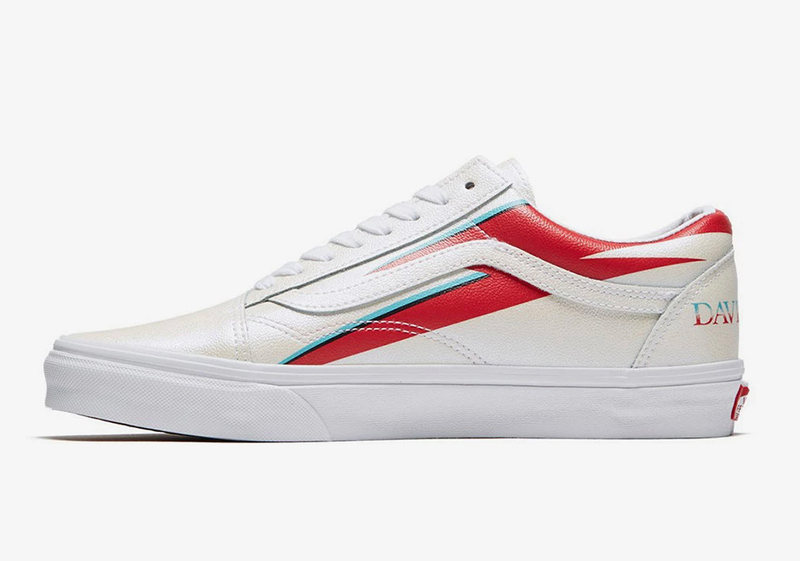 The David Bowie x Vans Old Skool nods to "Aladdin Sane" with a red lightning bolt displayed across the white upper. 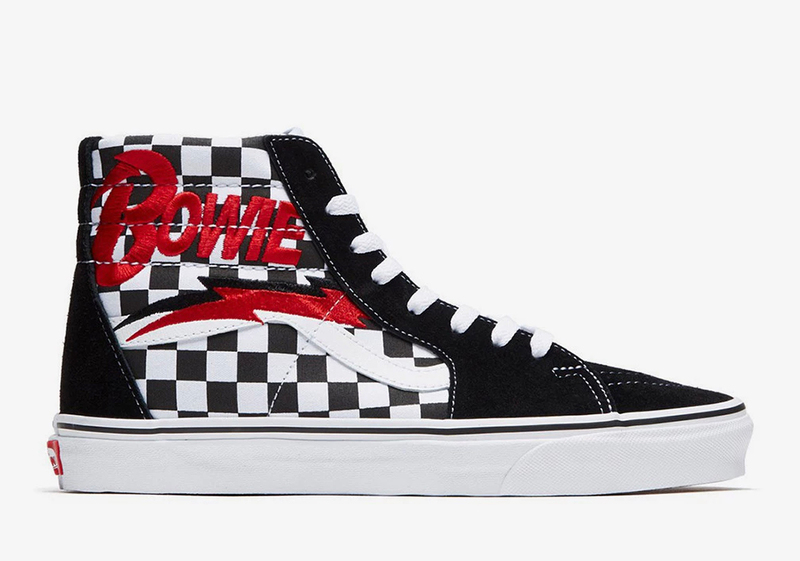 The black and white checkered Sk8-Hi features Ziggy Stardust’s lightning bolt along with "Bowie" text in a bold red. 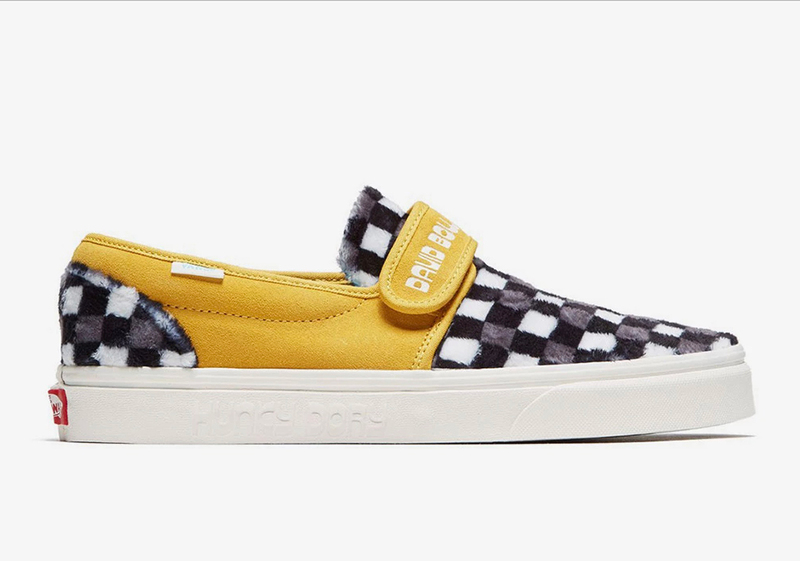 The Slip-On 47 VDX is built on Hunky Dory’s mustard yellow, while the polka-dotted Vans Era pays tribute to Bowie’s Space Oddity record. The kicks will range in price from $65-80. A specific release date has not yet been announced, but word on the street suggests the kicks will be releasing later this week. 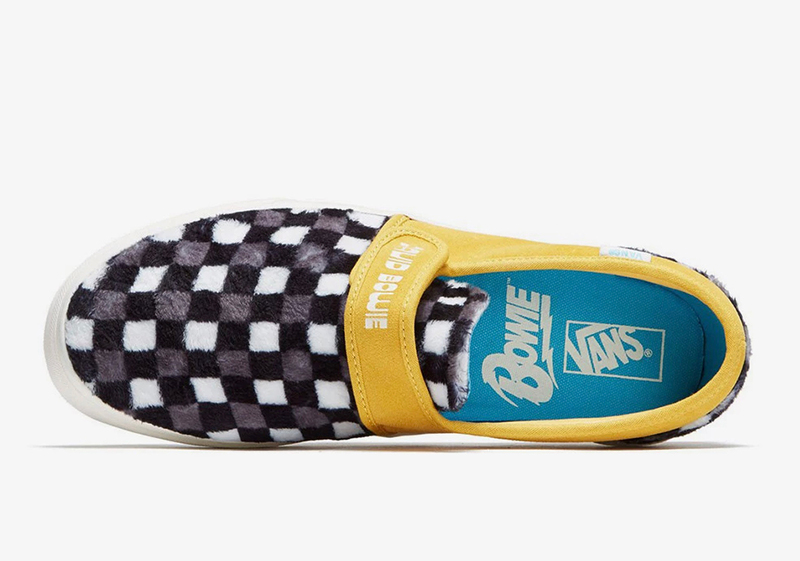 Sign up here for updates, and take a closer look at the four Bowie-inspired sneakers below.